A 9.0 Richter undersea earthquake on 11 March 2011 triggered a major tsunami that caused massive destruction in Japan’s coastal prefectures of Fukushima, Iwate and Miyagi. Its impact was exacerbated by a nuclear meltdown at the Fukushima Daiichi Nuclear Plant, making it a triple catastrophe and the worst disaster in Japan’s recorded history. Nearly 20,000 died, close to 27,000 were injured and more than 2,500 people are still missing. 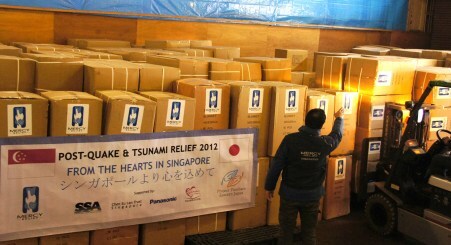 Mercy Relief responded swiftly to the worsening crisis, focussing its attention on Iwate and Miyagi.